Many of us are constantly on the lookout for extra ways to save. In fact, half of Americans who planned to make a financial New Year’s resolution for 2017 said they were resolving to save more, according to the Fidelity Investments 2017 New Year Financial Resolutions Study. One easy way to work toward this goal: Put at least a portion of this year’s tax refund in an Individual Retirement Account. It’s never too early to start saving for retirement. Depending on your tax situation, you might benefit by contributing to a Traditional IRA. Contributions to these retirement accounts can reduce your taxable income. You wouldn’t owe taxes on your contributions until you make a withdrawal from the account. Roth IRA contributions are not tax-deductible, but earnings grow tax-free. Qualified taxpayers who contribute to either a Roth or Traditional IRA also might be eligible for a Savers Credit. The tax credit—which is based on filing status, adjusted gross income and other criteria—reduces the tax you owe. “We always suggest consulting a tax adviser to see which option is better for the member,” Atkinson says. It’s not too late to contribute to an IRA for the 2016 tax year. 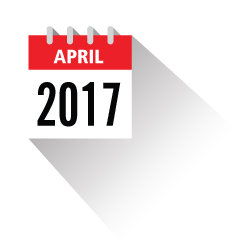 You have until April 18, 2017, to apply contributions to the 2016 tax year. Qualified individuals can contribute up to $5,500 to a Traditional or Roth IRA for both the 2016 and 2017 tax years, Atkinson says. Individuals ages 50 and older can contribute up to $6,500 for each tax year, thanks to a catch-up provision. IRA on a reoccurring basis, Atkinson says. This way, your retirement savings grow out of sight. If you’re looking for additional ways to invest your tax refund, consider talking to a financial adviser.